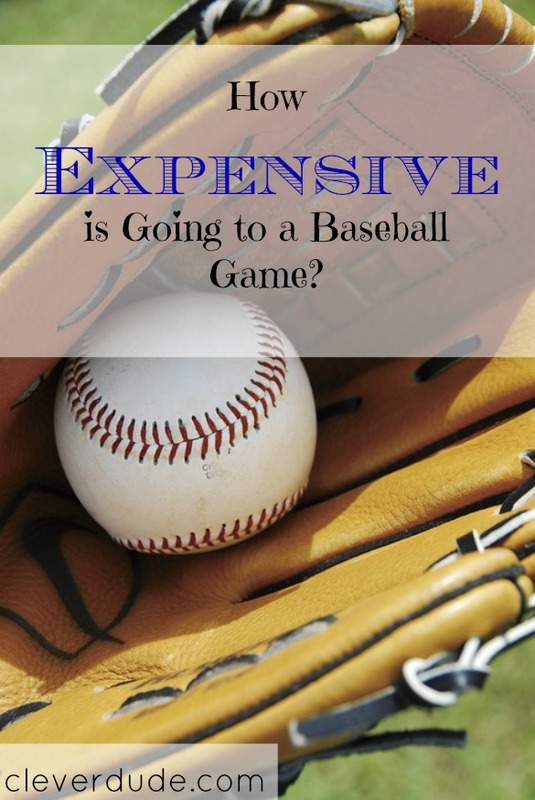 How Expensive Is Going To a Baseball Game? Over the weekend my wife and I went to watch a Major League Baseball game. We don’t go to professional sporting events often, and I was reminded this weekend why. The tickets were offered to my wife through her job as an employee bonding event. The coordinator of the event chose a block of tickets fourteen rows up along the third base line. They were great seats, although there certainly were much better and cheaper seats available. 200 miles at 20 MPG = 10 gallons x $3.50 per gallon. Minivans aren’t the most economical vehicles in the world are they? We parked for free in the outer suburbs of a major metropolitan area at a public transit parking lot, and took a 40 minute light rail ride to the ball park. It took a little more time, but it was cheaper than parking near the stadium, and way less stressful than driving in an unfamiliar place. Two hot dogs, two drinks, and some french fries. I was still hungry, but the prices were so high that I seriously lost my appetite. Our team won, and we had a great afternoon with my wife’s coworkers. That being said, it was an extremely long day. As we pulled into our driveway after being gone for almost ten hours, I couldn’t help but think what kind of get together someone could have hosted for the same group of people for half the cost and consume my entire day. We don’t go to professional sporting events often, and today I was reminded why. For the foreseeable future, I’ll be watching them from the comfort of my living room chair. 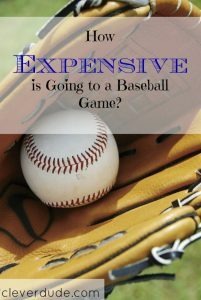 Do you go to professional sporting events? How much do you usually spend? I rarely go to pro sporting events either, mainly because of the costs. You are seriously underestimating your costs by counting only gas for travel. Accounting for all vehicle costs would bring your total costs for the day from $187 to close to $300. @MichaelJames – it’s true that there are also vehicle wear and tear sort of impacts…..however I didn’t include them because they weren’t money directly out of my pocket that day. It’s always good to keep those kind of impacts in mind though – thanks for sharing!